THE FIRE RAIDERS HAVE ARRIVED! League of Angels-Fire Raiders, the next great RPG game from GTArcade, has just launched globally. Already regarded as one of the top 10 RPG on mobile, gamers worldwide can now experience this epic role playing game right in their palms. The wait is finally over! 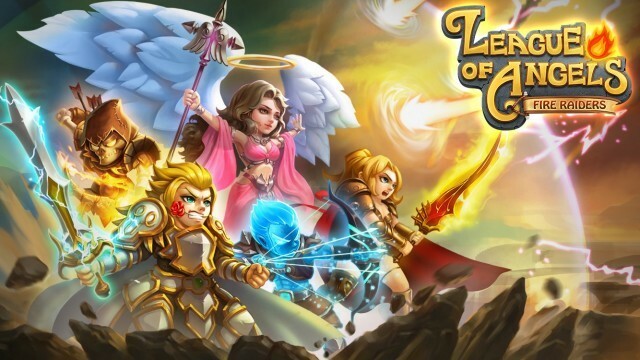 Game developer and publisher GTArcade has announced that League of Angels - Fire Raiders will officially be released worldwide on April 9th for iOS and Android devices. Based on the hugely popular browser game League of Angels, winner of Facebook’s ‘Best New Games of 2014’ award, Fire Raiders is regarded as one of the most anticipated mobile games of 2015! Players from all over the world will very soon be able to download the game and experience a truly immersive Action RPG that will take them on an adventure spanning across faraway mysterious lands. Along the way, gamers will encounter countless heroes, angels and demons who will make the journey epic to say the least. United Through Fire, the Angels will rise! An Ancient World of Heroes and Angels! 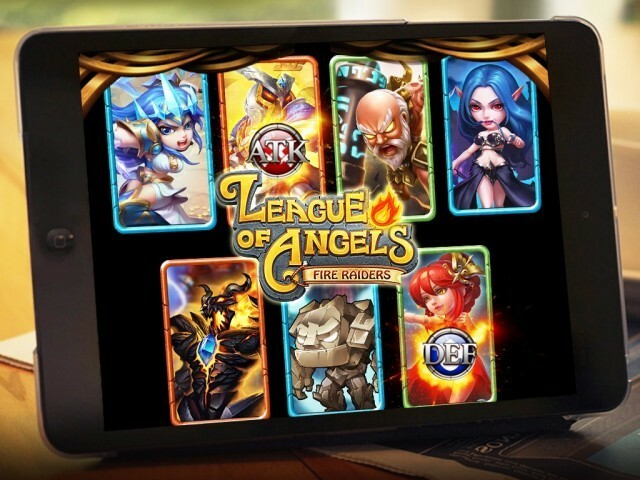 The world of League of Angels is rich with lore and legends of ancient times. Angels and humans, having lived in peace for thousands of years, usually have little interaction with each other. But now that the Great Demon King has invaded the land though, the Angels have descended onto the world and promised to help humans reclaim what was lost. This League of Angels has vowed to help any hero brave enough to face the armies of evil. The Fire Raiders, as this group of heroes now call themselves, will stop at nothing to make sure that the Great Demon King is defeated. But the Great Demon King is a worthy foe and has discovered a way to trap heroes souls into precious stones, thus commanding their wills. In this way, this evil lord has been able to build an army not only consisting of Demons, but also of Heroes who are fighting against their will. One thing that sets Fire Raiders apart from other mobile games is the sheer depth of strategic choices available to players when facing tough opponents. As a player, there are many ways to improve your team if an enemy proves especially tenacious. Ways to improve Battle Ratings include recruiting heroes and angels, leveling up, upgrading skills, equipment items, changing battle formations, timing skills perfectly and many more options. The possibilities are endless! But this shouldn’t scare off players who are not so familiar with RPG’s; despite the layer of depth, Fire Raiders is very easy to pick up and can be played just as casually as other mobile games. What makes the game enjoyable in the long run though is the fact that players who want to get really involved in battles and strategy now have the option to do so! To Play League of Angels - Fire Raiders is to play a game that never ends. With weekly hot events, new heroes and constant updates, you can enjoy the action everywhere you go. Armed with the power of choice, your resources, battle rating and recruited characters will all play a crucial role in how you play the game. Only by assembling the right party and choosing the perfect strategy will you make it to the top! As an MMORPG, Fire Raiders also give you the opportunity to connect with thousands of players in the live chat and make new friends who will follow you throughout your journey. 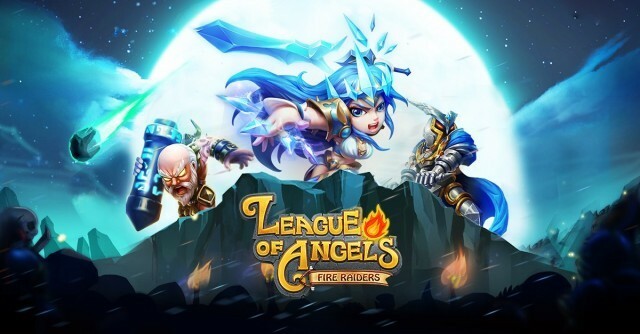 League of Angels - Fire Raiders will be available in the App Store and on Google play as of April 2nd. There are many ways to take part in the launch festivities and earn yourself some very valuable gift codes. Be sure to visit our website and our facebook page to stay updated and gain a competitive edge on all the other players!